John, oh leave your brother alone. 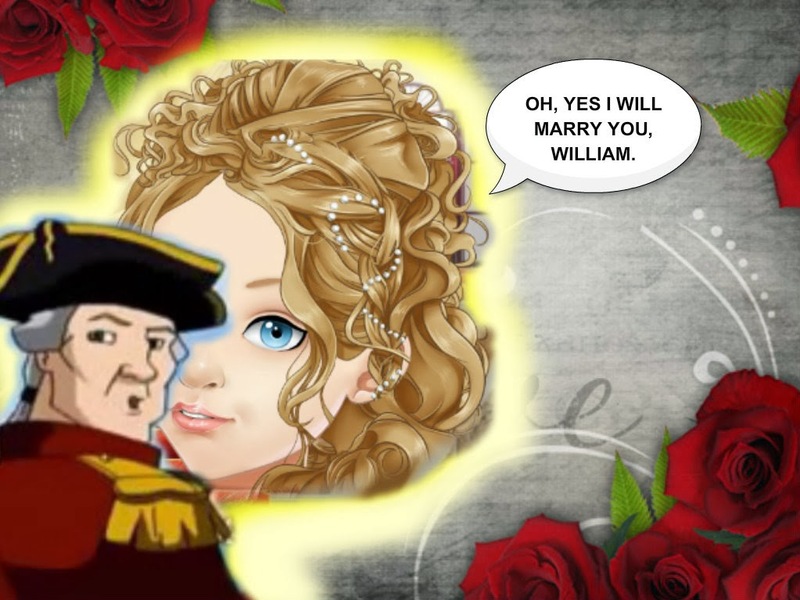 William did ask her to marry him and she said ... YES! William finally pop the question to Frances. She finally said yes to him and they are getting ready to kiss at the end. I'm thinking of adding some more pages next year for Howe Falls In Love but next time, it will be only seven pages. VALENTINE'S WEEK ENDS TODAY AND HAPPY VALENTINE'S DAY! Now back to Page 9: We Were Never Friends for Sleepy Hollow. It looks like William and Clinton were never friends in the first place. For one, they never get along with each other. John Phillips is wondering about William's dreams but doesn't know about it yet. William doesn't want to talk to him about it. Feb. 17th, Page 10: Do I Really Have To Go? Looks like that John Hampton will be making his first appearance and now that Bryan is the last one we haven't got to yet. Now that we can go back to vote to preview the next page for Sleepy Hollow! True Love and great timing for the final page of that mini comic and I really do enjoy the comic alot. I knew it, I knew it! It was Clinton all along. At least that he's on my most hated character list. Wake up, John P! Howe: I JUST HOPE THAT HE JUMP INTO THE HARBOR AND NOT HAVE TO WORRY ABOUT HIM MUCH LONGER AND I THINK I SHOULD ASK TOM FIRST. Valentine's Week is over! I was really enjoying it alot. Can Monday come any faster already? The new page is tonight and the wait is now over. Til Wednesday for the next one and one for Friday and you have to wait til next Monday of next week.